Kangana Ranaut‘s much-awaited ‘Manikarnika: The Queen of Jhansi’ finally got released on January 25 (yesterday). The film, which is based on the valour and sacrifice of Rani Laxmibai and how she fought against the British empire. Kangana Ranaut‘s film received mostly positive reviews from the critics and has done decent business at the box office on Day 1. 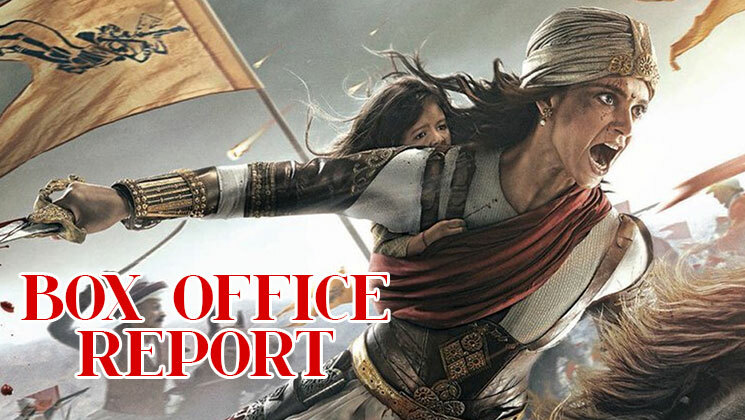 Trade analyst Taran Adarsh took to micro-blogging site Twitter and shared the collection of ‘Manikarnika’. Nawazuddin Siddiqui‘s ‘Thackeray’ on the other hand, has done rather average business on Day 1. The film has earned around Rs 2.75-3 crore on its opening day. ‘Manikarnika’ faced its fair share of troubles before the release and Kangana co-directed the film. This after Krish left the project midway citing personal reasons. With Republic Day holiday and weekend, ‘Manikarnika’ is expected to pick up the pace in the coming days.